For most people, running one marathon is a pretty epic task. For runner Ben Smith, one marathon just wasn’t enough. In fact, 400 wasn’t even enough. 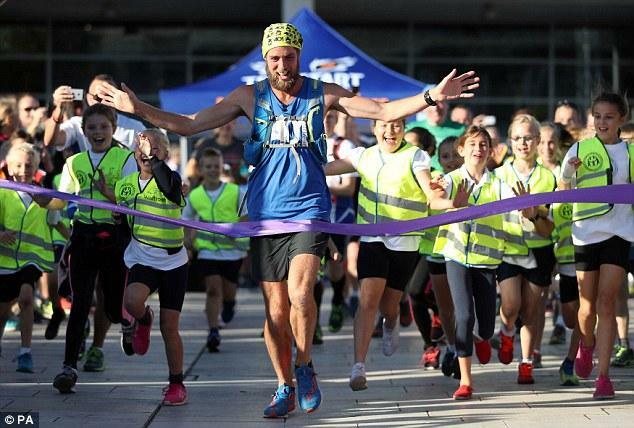 In 2016, Ben ran 401 marathons in 401 days, spanning more than 10,500 miles! That’s about the same distance as London to Sydney! So Ben is kind of crazy and I think you should know more about him. Ben’s amazing running journey was part of The 401 Challenge. You may have noticed some news coverage about it last fall. If not, I’ll give you the headline: after suffering from extreme bullying as a child, Ben designed the challenge as a way to raise money for his chosen charities: Kidscape and Stonewall. Thousands of people backed him along the way, and he raised a whopping £250,000! I only know about Ben’s story because of a something called Funzing. My colleague introduced it to me and I think she created a monster. It was like discovering Instagram for the first time. Once I started scrolling through, I just couldn’t stop. Funzing is a cool online platform that lets you find interesting, unique experiences and talks taking place all around London. I recently attended one called How to Turn Your Blog into a Business (Note: blog is not yet a business, but it was a very good talk). Inspired by the great event and high quality speakers, I started looking for other upcoming talks. I signed up for three in one sitting. Ben’s 401 Challenge Talk is the next one! If you live in London, you should join me to hear more about Ben’s journey. Buy a ticket: Click here. If Ben’s story isn’t for you, check out other cool events offered through the Funzing website. Be warned: it’s addictive!